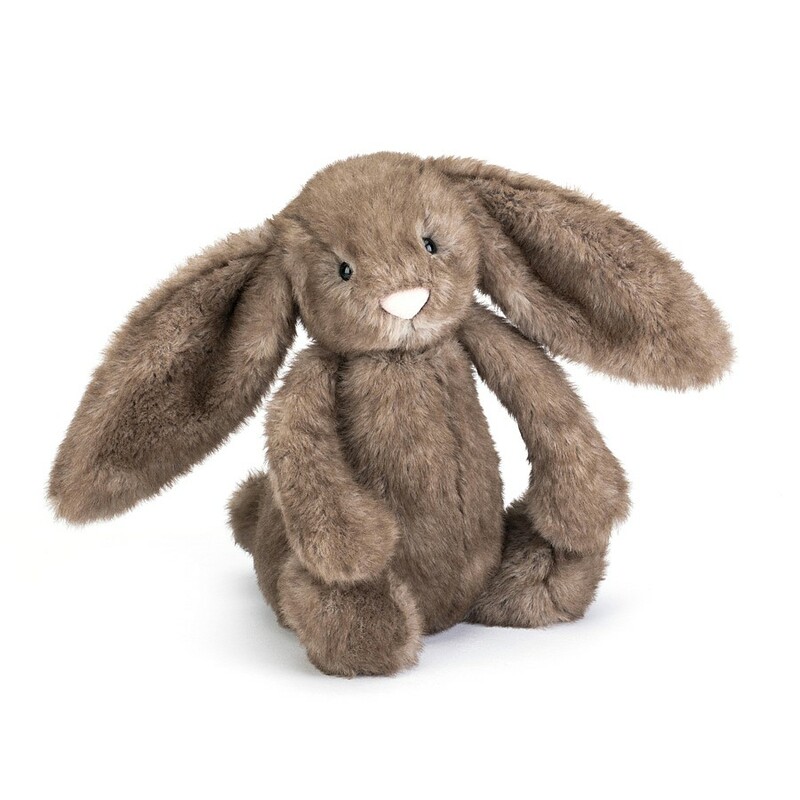 Share a big hug with mottled Bashful Pecan Bunny. This two-tone sweetie has long flopsy ears and a superfluffy bobtail for extra bounce. Scruffle and tousle that nutty nougat fur, then curl up tight with this shiest of buddies.